Can I Help You, Ma’am? For Christmas we bought our younger daughter a pet. Yes, I know. Pets are NOT gifts. Gifts are things you can exchange, or forget about, or give to Goodwill next week. Pets as presents? CRAZY TALK. On Saturday we went swimming. And by ‘we’ I really mean my husband & our daughters. I just sat on the bleachers and watched. It’s not that I don’t like to swim; even with my wacky ear, I do. And our community pool is nice. The reason I skipped swimming is because of a certain pool policy. What I call The Pool Rule. The Pool Rule states that everyone w/ chin-length hair or longer MUST WEAR A SWIM CAP. 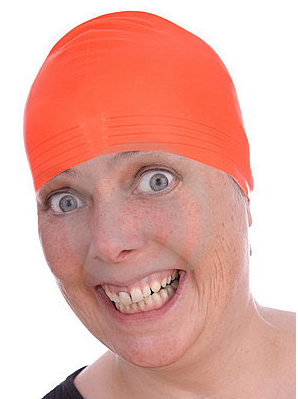 This woman likes her swim cap. I do not like mine. When I first learned of The Pool Rule, I tried to be a good sport. Swim caps help prevent hair from clogging the pool’s filter, keeping the pool working and limiting nastiness for the unfortunate soul having to clean. I didn’t argue. Even though my only option at the time was to borrow a swim cap from the Lost & Found, and the only one that fit was plastic and had ear flaps. Getting it on nearly pulled half the hair from my head. I put on that cap! My kids wanted to swim with their momma and I wasn’t going to disappoint my husband. But I vowed that next time – if there were a next time – I’d bring $$ to buy my own. The next visit, I remembered my swim cap money. YOU KNOW I DID. I bought a stretchy spandex number from the pool office, in black to match my swimsuit. I put it on, got in the water and it promptly fell off. I put it back on, dove underwater and it came off again. I put it back on again. And again. I spent half the swim session retrieving my cap from the pool floor. But I didn’t give up! Even though the swim cap wouldn’t stay on, I wore it the next time, and the next. Until finally one Saturday I’d had enough. I was done dealing with the indignity of that useless cap and said NO MORE. So now I sit & watch. The Pool Rule may make sense in theory, but when I spend half my time in the pool retrieving a swim cap and replacing it what exactly is it accomplishing? 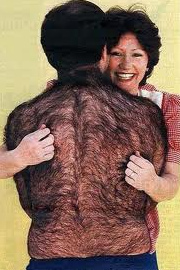 I’m losing far more hair in the pool doing the ON-OFF-ON-OFF routine than I ever would going without. And if the ultimate goal is to minimize hair in the filter, why stop at swim caps? Wouldn’t swim SHIRTS be applicable too? Until then I will be on the bleachers. Last week was Vacation Week here in Maine. If you are picturing me lounging in the sun, fruity drink in hand, keep dreaming. The only downtime I got was Sunday, between the hours of 12:30 and 2pm. I didn’t see a single fruity drink the whole week, unless you count the orange juice I had to wipe off the windows when the kids missed the sink. The one highlight? My husband also took the week off. Normally this would have rocked beyond belief. But since we are LIVING THE DREAM of 250 year old home ownership, Vacation Week was Hell. Cleaning out the basement. 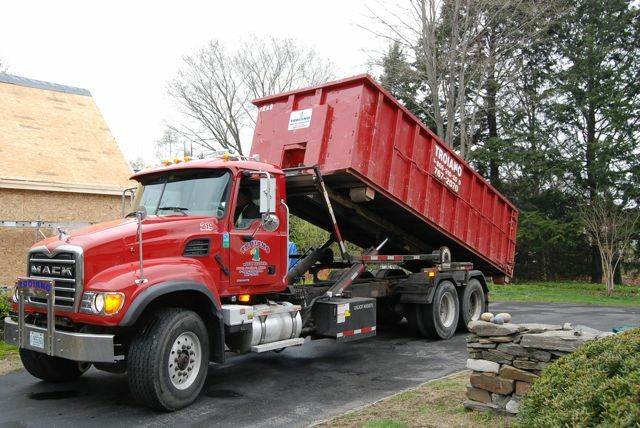 Normally I wouldn’t complain, a little tidying here & there, but our basement was so congested we had to rent a jumbo sized construction dumpster. It arrived Friday afternoon. All the construction debris from upstairs had to be stowed somewhere. 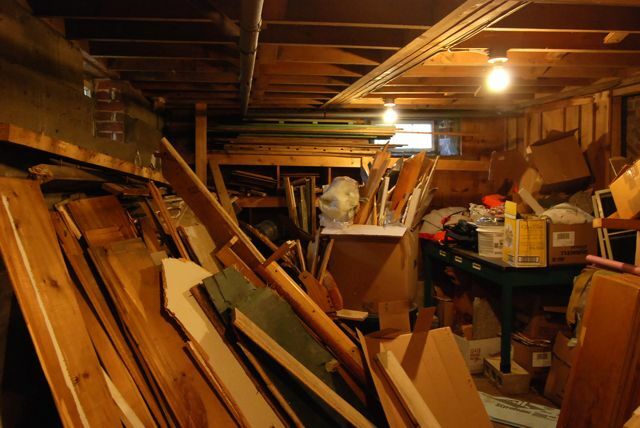 Unfortunately, the recent rains which flooded our basement also waterlogged much of the discarded material. Causing it to mold as well as rendering it ungodly heavy. The rodent excrement peppering much of it was just a bonus. 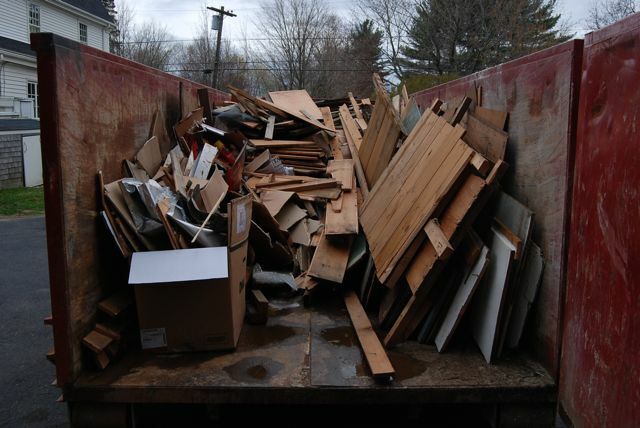 It took us four days to haul everything outside to the dumpster. And if the backbreaking labor wasn’t memorable enough, its aftermath was truly unforgettable. 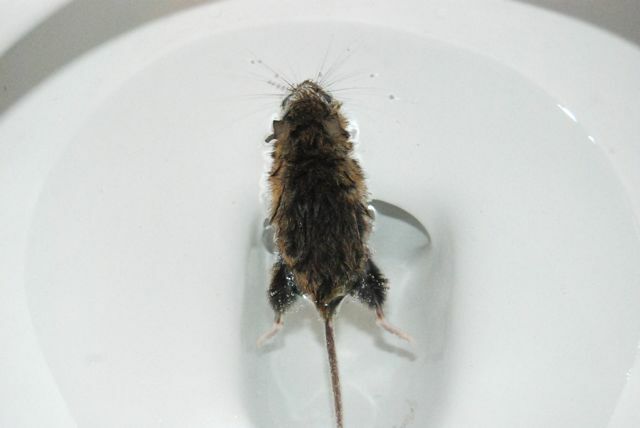 Likely b/c of something I breathed in/touched/otherwise ingested while hauling all that crap, I spent two nights splayed across the bathroom floor, longing for death. There is something about a severe GI upset that scars a person. Twice in 3 days is enough to induce psychosis. In between the wood hauling, full body chills & bathroom trips, we enjoyed nature. And we didn’t even have to leave the house! When you are Living the Dream like we are, you discover all sorts of things you never knew you had. Like red squirrels! OOOooOOOh! Yes he (or she) IS VERY CUTE. My older daughter was beside herself with worry and desire, both to save and KEEP the squirrel. I am wild about animals. 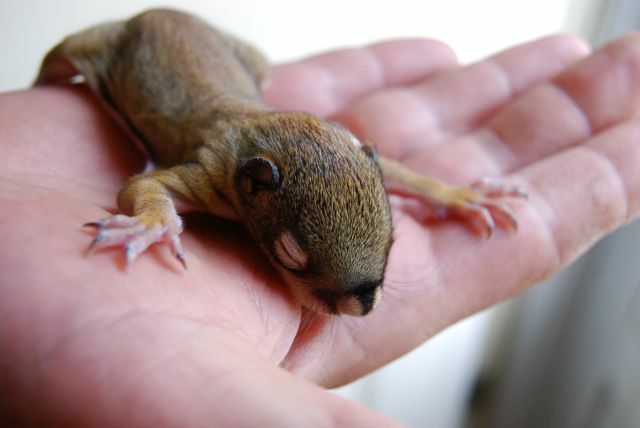 but frankly, I draw the line at eyedropper feeding an infant squirrel ten times a day for the next who knows how long. After 2 days of trying unsuccessfully to reunite baby w/momma, we took him (her) to the nature refuge. So, where was that squirrel hiding?! Remember all that wood in the photo above? Well, it’s reeeeaaallly hard to see, but there in the back you can faintly make out some wood paneling/shelves. 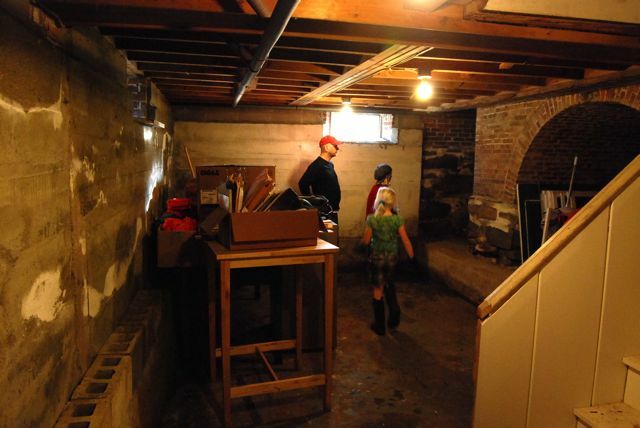 These walls/shelves were put up by the former owner, who had hoped to use the basement as a workshop – before realizing how high the water table is. Back before we bought the house, our home inspector urged us to remove as much of this stuff as possible. 50 years of flooding hasn’t been good to this wood. These walls/units were serving no other purpose than to 1) hold water, 2) mold, 3) conceal stuff. Stuff like the squirrels who’d been living behind them. As well as a lot of chewed up batting, poop, and potential structural issues – which, thankfully, we’ll now be able to see before they wreak havoc. Here is the space with the beautiful brick archway exposed. But the nature discovery didn’t end there. Oh, no. With all that work we’d been doing INSIDE, we hadn’t noticed just what a beating the outside had been taking. When we moved in 8 months ago, we had a green lawn. Over the winter, the green naturally turned brown. As spring has sprung, much of the grass – mostly out back – has regained its verdant look. But the lawn out front? About a month ago, these strange brown patches started appearing. Subtle at first, now downright ugly. Initially the dead grass fit the pattern of being urine burned. Along the edge the sidewalk, where dogs do their business. Or, as one neighbor suggested, it could have been salt burn from the snow plowing. 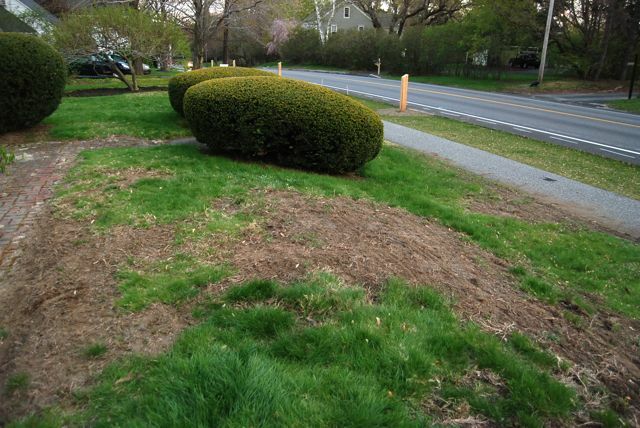 Initially this made sense, until these brown patches began to grow, moving up from the sidewalk to the upper part of the front yard. My husband and I wondered whether it could still be dogs? But our neighbors are courteous, and we had such a mild winter. Surely, neither explanation could account for this, and no other yards seemed touched. The dead zones kept spreading and our concern grew. AHHHHHHHHHHHHHHHHHH!!!! 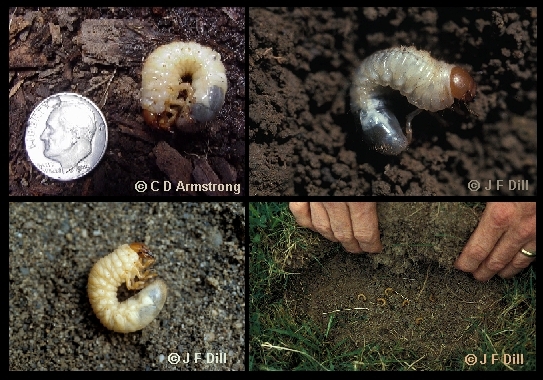 WHITE GRUBS. Dozens and dozens of them. I spent some time removing the dead zones, which of course just so happen to be DIRECTLY IN FRONT OF OUR HOUSE. Facing the street. Where everyone can gaze upon them. Ughhh. Yes, it is UGLY. Having had a mere postage stamp of a yard in Philly, we had no freaking clue. How could we have possible hedged against a nemesis we didn’t even know existed?! And so, we got to work. Once again. We spent time researching online, investigating natural and chemical pesticides, trying to determine the best course of action. I wish I could tell you we did it the happy holding hands way, but this time – it was us or the grubs. We decided to take the dirty route and poison them using Grub-Ex. I did not want to do it, but dammit, we have invested everything we have & more in this house and I will not let some white grotty grubs take my beautiful lawn away. OH NO. Our next door neighbor lent us her spreader and we put that Grub-Ex down on every inch. 2 days of work and the lawn’s still ugly as sin. But hopefully it’s on its way to health. Time will tell. The icing on the cake came at the least expected time. I went to relieve myself and was greeted with this. No droppings in the (lived in portion of) the house, no sign of them at all – then BAM! 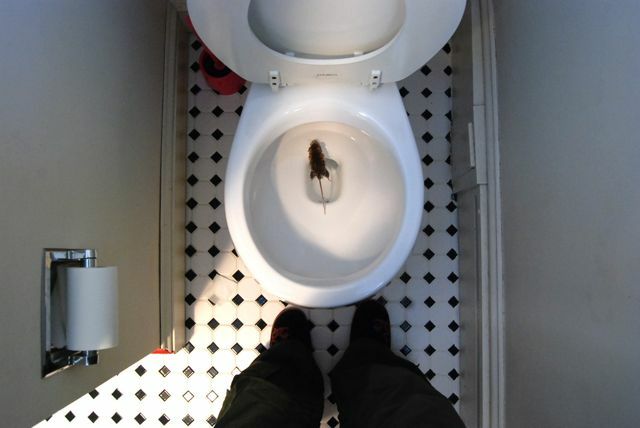 a dead one in the TOILET?! When the mice are jumping ship, is that a sign? Sigh..